Hello, Today we will learn how to register a new domain name. 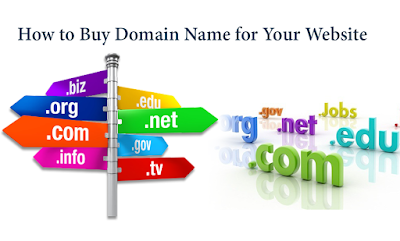 Domain Name Registration means buying a new domain name. Before that, you should know what is a domain name? If you know, then you should continue ahead. Let us now know how the domain name is registered. 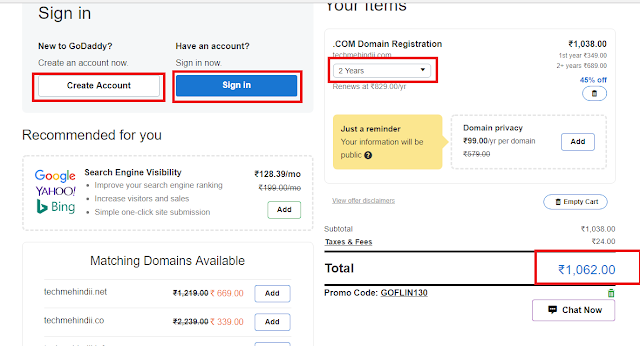 Today I will teach you on GoDaddy how to register a domain name. How do I register a domain on GoDaddy? First, click on this link. As shown in the screenshot below, GoDaddy's homepage will open in front of you. Now type the domain name you want to register in the Search Domain bar above. Then simply click on the Search Domain button or press enter button. If your domain name is available, then a webpage will open in front of you just like a screenshot shown below. You simply have to click on the select button. simply have to click on the select button. The Domain Name will be added to your cart. Now you have to click on the button to continue to cart. When you click on it, GoDaddy will show some options in front of you that you can buy at additional cost with your domain name if you wish. If you do not want to buy then simply leave all the options to deselect and click on the link to continue. Now you have to click on Proceed to Checkout button and then the page shown below will open in front of you, where you will have to create your GoDaddy account. If you already have an account on GoDaddy, then you just have to log in. Once you have created the account and login, then there is the last step payment that you can do with different options offered by GoDaddy. Once you have successfully registered the domain name, then add it to your website or blog. If you have any questions, please share with us the comments. Thank you for reading this blog post. Hope you find this information beneficial. Thank for giving me solution of buy domain. this blog is very nice and powerful article in this blog. Thanks ! For Comment In this Article. Software Testing! What is this and how does it work? What is Alexa? This is Amazon's Virtual Voice Assistant!